You are hereHome Where now for Kenya’s post-election violence victims? 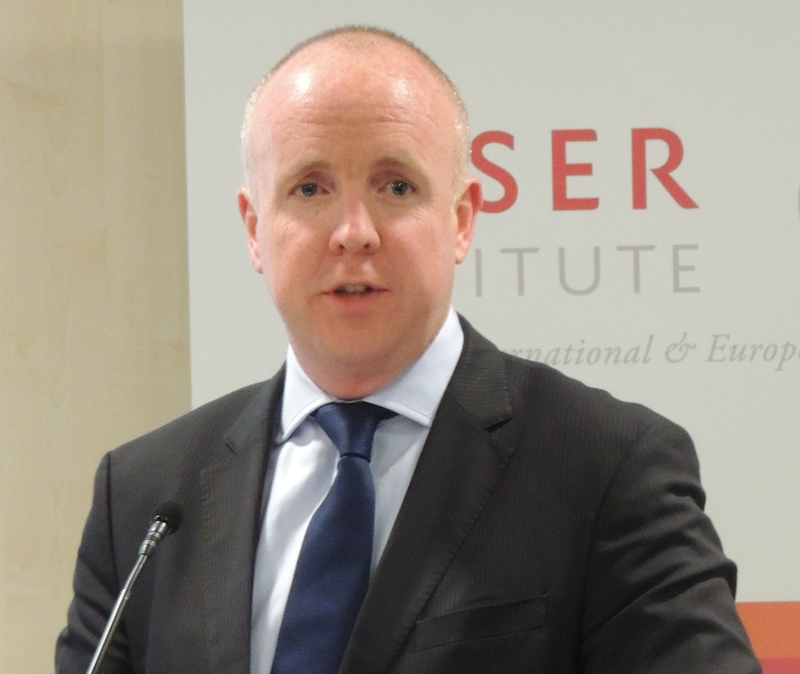 As part of our joint lecture series in The Hague, Fergal Gaynor, legal representative of victims in the ICC case against Kenyan President Uhuru Kenyatta, stopped by to reflect on his work in the Court’s highest profile case. Suspected of planning and organizing crimes against humanity during violence that followed Kenya’s 2007 presidential election, Kenyatta’s trial was due to open in The Hague on 5 February last. Instead, however, hearings took place to discuss an adjournment request by the prosecution following the withdrawal of several witnesses from the case. ICC Prosecutor Fatou Bensouda also wants judges to rule on her allegations of non-cooperation on the part the Kenyan government, who she says is withholding crucial evidence. The defense has called for a termination of the trial, which remains in limbo while a ruling by the judges is pending. Gaynor, who has previously worked at the Rwanda and Yugoslavia tribunals, represents the victims of the crimes charged in the Kenyatta trial. Based in Nairobi, Gaynor and his team meet regularly with the post-election violence (PEV) victims to keep them abreast of judicial developments and any questions they may have. The sessions allow him assess victims’ views on key issues in the case, such as the proposals to hold proceedings in situ in Kenya or Tanzania, or to allow the accused to appear via video link or be excused from attending certain trial hearings. Gaynor highlighted the value of these consultations for his work as well as for the victims themselves, who feel more empowered and can share their experiences with each other in a sort of group therapy. With many victims having lost close to everything during the PEV violence—and few receiving financial, medical and psychosocial support from the Kenyan government—Gaynor explained that the limited scope of his mandate means that there is a danger of not meeting high expectations. Assistance from the Trust Fund for Victims or via Court-ordered reparations could theoretically fill the gap. However, the Trust Fund has yet to start operations in the country and is limited in its budget, while a conviction would be necessary to trigger any Court-ordered reparations. Given these limitations, Gaynor wondered whether other international agencies or humanitarian NGOs might not be better placed to rehabilitate and provide redress to victims in situations such as Kenya. Gaynor was also critical of the ICC’s focus on “case” victims, arguing that the distinction between “case” victims and “situation” victims serves to exclude the vast majority of victims from the situation from participating in the trial, or applying for reparations. He explained that due to the narrow scope of the charges against Kenyatta, he only had a mandate to represent victims of crimes allegedly committed in Nakuru county and Naivasha town in the Rift Valley during a few days in 2008. He said there are many others who suffered from crimes committed in different areas or during different times that deserve to be recognized and receive assistance. On the possibility of the Kenyatta trial not continuing, Gaynor said that many victims feel angry, betrayed and let down. He suggested that given that not one mid or high level perpetrator has to date been held accountable for PEV crimes in Kenya, along with recent comments of Kenya’s director of public prosecutions, there is no political will to do so in the near future. In this context, Gaynor said that a withdrawal of the charges against Kenyatta would ultimately amount to a denial of justice for victims. To conclude, Gaynor outlined how damaging a suspension of the case could be on the ICC deterrent effect. Have your say – What do you think of Gaynor’s comments? *The Supranational Criminal Law lecture series has been organized since 2003 by the Asser Institute, the Grotius Centre of Leiden University and the Coalition.